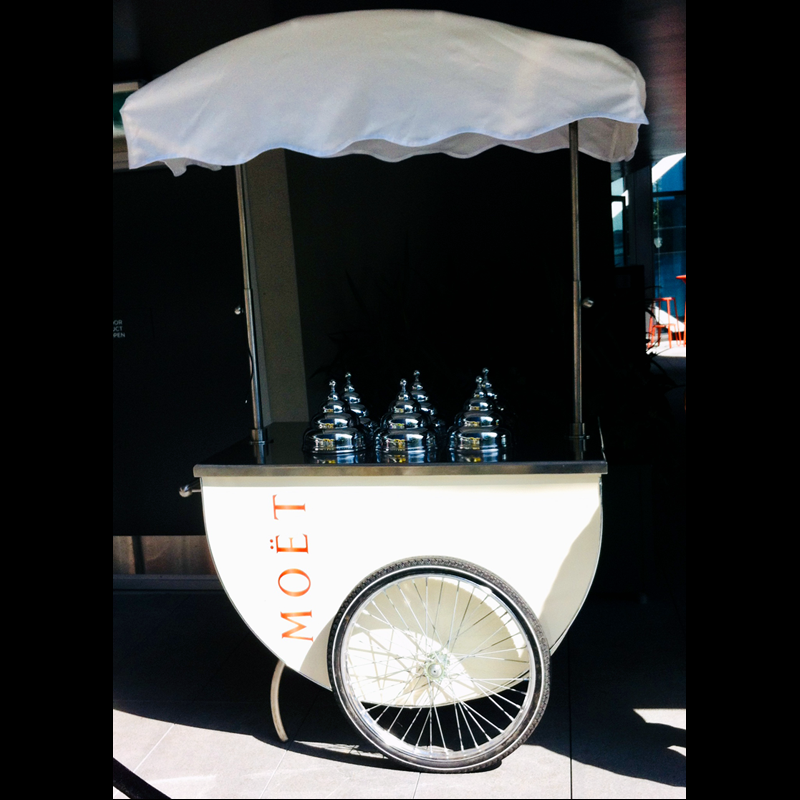 We branded one of our beautiful Italian carts for a Moet champagne service. Similar to our gelato service, our champagne service comes with staff and a choice of packages. Find out more here. 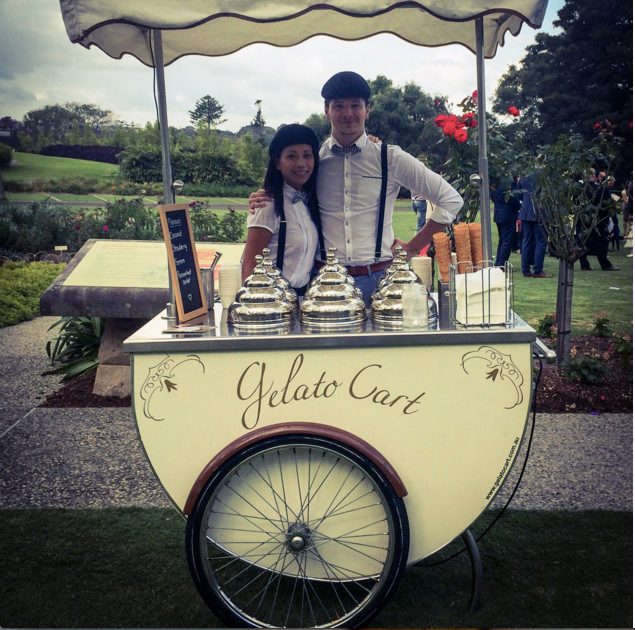 The Botanical Gardens in Sydney is a beautiful location for a Wedding and a popular spot for GelatoCart's post-ceremony service. 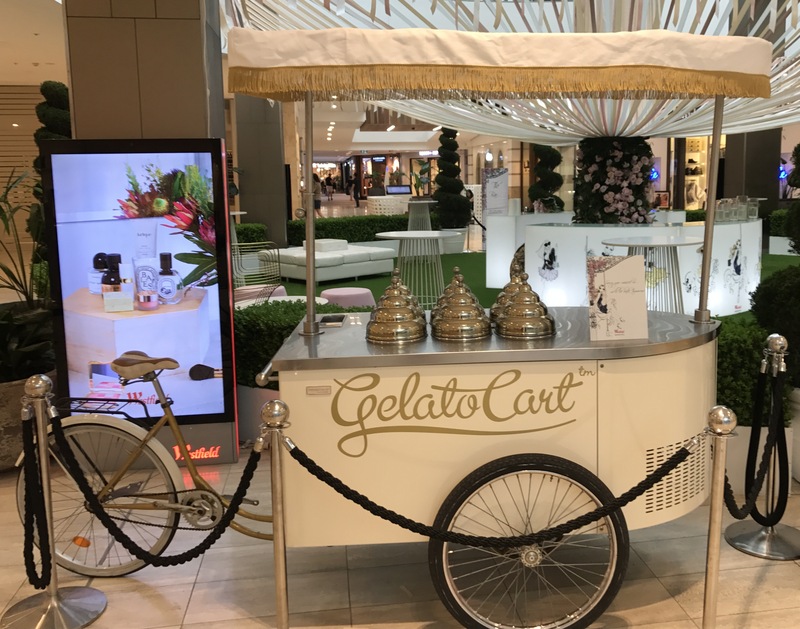 With Spring in the air we were delighted to work with Westfield on a Spring Racing activation on Sydney's Northern Beaches. 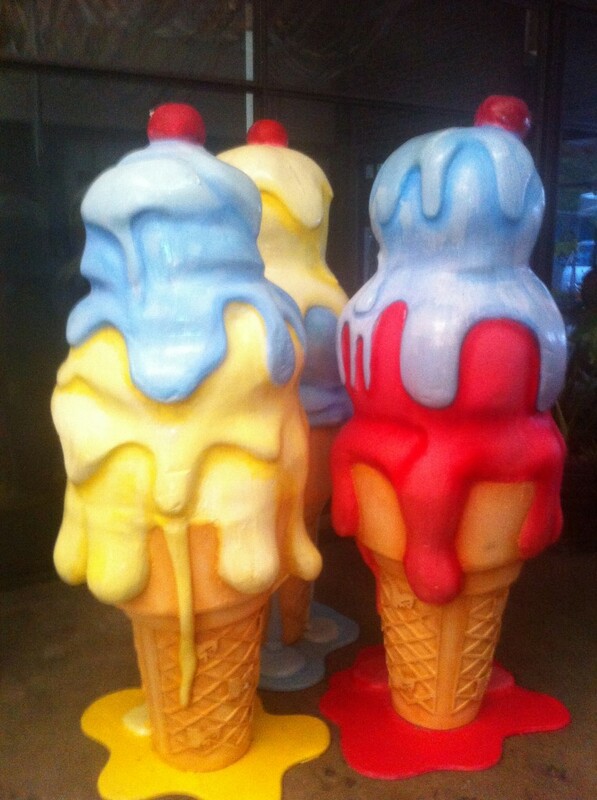 Gelato Cart worked with One Fine Day in Sydney and were pleasantly surprised by these giant ice creams! It's certainly one way to bring an event alive. 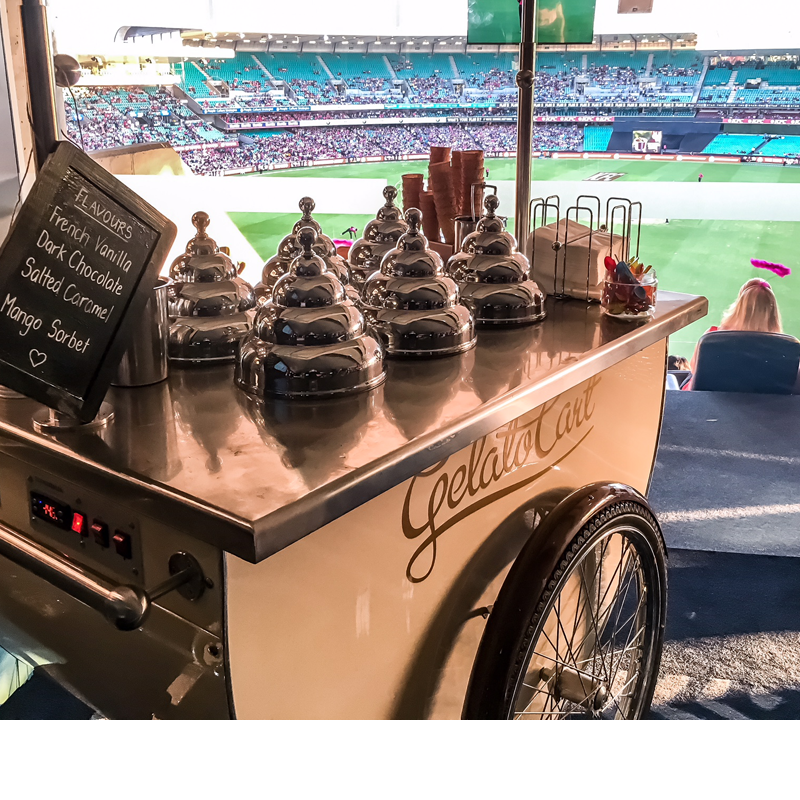 Gelato Cart was thrilled to work with Kiis 1065 in Sydney on a marketing activation. 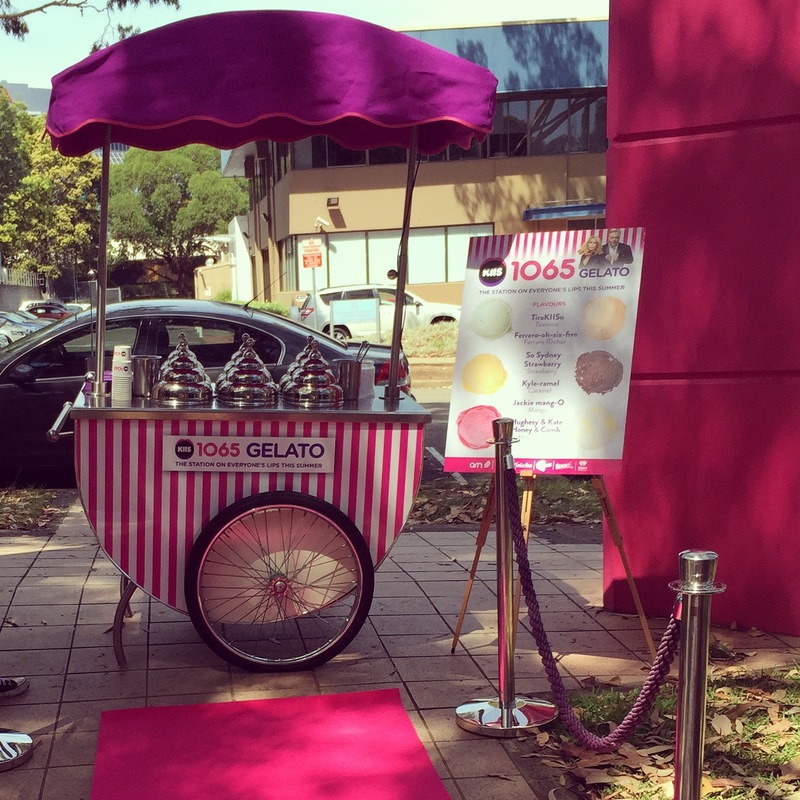 We created a custom canopy and wrapped the gelato cart with a Kiis branded decal.